Celtic & Old Time Music Jams! Return of the RHAC Music Jam! The Round Hill Arts Center will host a twice-monthly jam session for Celtic and Old-time Music at the Hill High Orchard Store. Location: Hill High Orchard Store, 35246 Harry Byrd Hwy, Round Hill, VA. There will be coffee and pastries available for purchase at the Hill High Orchard Store. Folding chairs are available for free. As we get more musicians interested, there may be an opportunity to add dates. 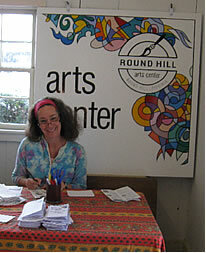 Please come and support the Round Hill Arts Center, and this terrific opportunity for local music!